Looking for an affordable property that checks all the boxes? Then you may wish to consider a townhome. A more affordable option than a standalone house, townhomes are low maintenance and still offer you with plenty of indoor and outdoor space for living. For many buyers, this is the best of both worlds. Since Cornerstone Living launched in 2013, we have noticed rising demand for our townhouses – so much so that we’ve added an extra release of townhomes to be completed next year. There are many reasons why buyers are choosing townhouses, and our architects from idearchitecture have designed our townhomes to enhance these lifestyle advantages. Here are the top six reasons why more buyers are now opting for townhouses. Price is one of the greatest drawcards for townhome living. When compared with a house with the same number of bedrooms, townhouses offer incredible value for money. Given that townhomes are a more affordable option that suits most lifestyles, many buyers are able to purchase a townhome in convenient locations where they may not be able to afford a house. 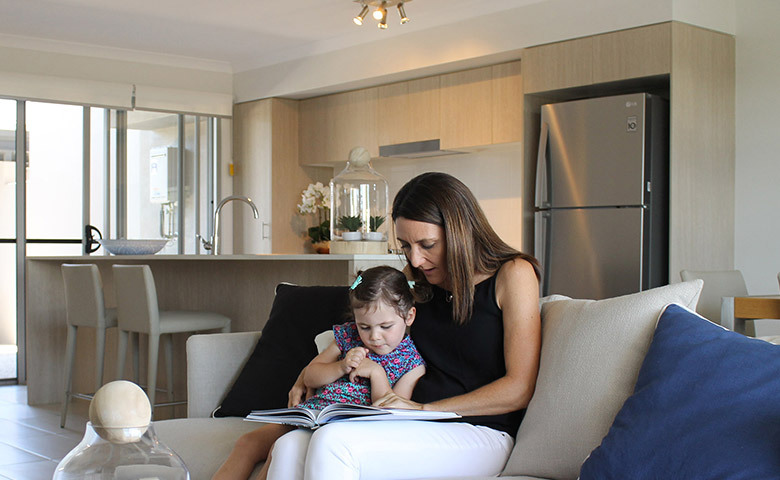 And with the first home owners’ grant now at $20,000, townhomes are a great opportunity for first home buyers to get their foot on the property ladder. Not everyone wants to spend all weekend on maintenance around the home, and this is a big part of the appeal of townhouse living. You can enjoy a home with three bedrooms and an outdoor area, without spending your free time tending to a large yard. 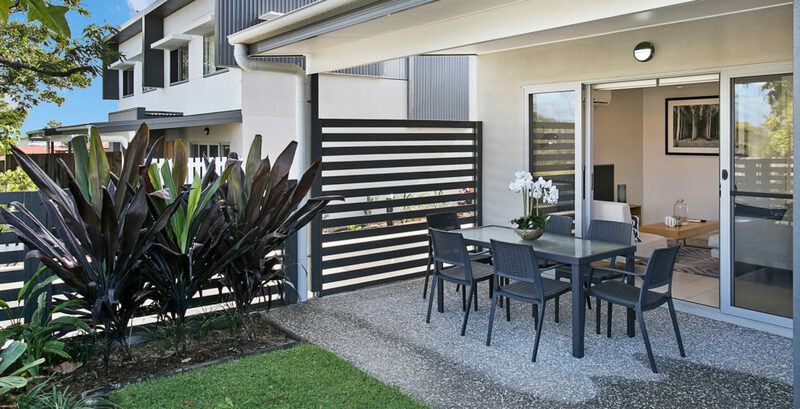 Townhomes require little maintenance but the inclusion of an outdoor courtyard ensures you can still entertain, have a small garden or provide the kids with a secure space to play. Townhomes offer spacious, open-plan living. When your children have left home, downsizing makes a lot of sense, but not everyone wants to move into an apartment. Townhomes are an ideal alternative when you are ready for something a bit smaller, as you can still have plenty of living space and spare guest rooms, but with minimal maintenance. This suits a lot of people as they approach retirement and want to spend more time away from home travelling. Split-level design separates the main living area from the bedrooms and bathrooms, which creates a sense of extra space and versatility. This means that if someone is sleeping upstairs they won’t be disturbed by what’s happening downstairs – a big plus for shift workers and anyone who’s a light sleeper. And for families, a townhome allows you to entertain or relax in the living area downstairs while the kids play upstairs. As Brisbane continues to grow, the great Australian dream of a large house isn’t as sustainable or affordable as it once was. Townhomes, however, give you space to enjoy your lifestyle and provide us with opportunities to build new communities like we’re doing at Cornerstone Living. By purchasing a new townhome in a master planned neighbourhood, you become part of a new community complete with maintained facilities including a park, cafe and community garden. Enjoy the outdoors with a low-maintenance courtyard. 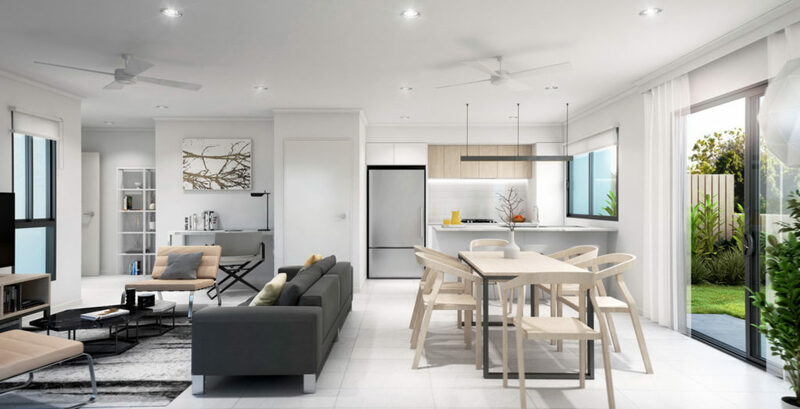 When it comes to sustainable housing that’s beneficial not only to the environment, but also for the future growth of Brisbane city, townhomes are a viable solution that won’t compromise your lifestyle. To buyers, the idea of a more sustainable and energy-efficient home is becoming increasingly appealing.